Smart home: the next major app platform or a fragmented mess? The smart home market is booming. Sales of smart speakers and hubs are higher than ever before and the trend is expected to continue in the future. This is why some experts now believe that the smart home can be transformed into the next big app platform. However, there are many challenges and unanswered questions ahead. Currently, if you are new to home automation, you might find yourself overwhelmed. Do you need a smart home hub? Should it be a speaker or a smart display like the Google Home Hub? What products are compatible with each other? Do you need to install additional apps on your phone? The truth is it all depends on what you intend to purchase. 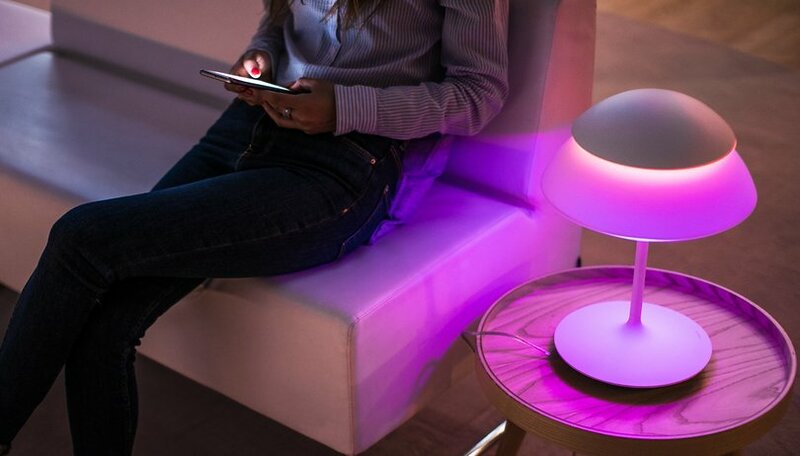 Let's take smart bulbs for example - some of the most popular brands, such as Phillips Hue, require you to own a smart speaker like Amazon Echo or to purchase a bridge, which is basically a control panel. Of course, there are variants that only need a Wi-Fi connection and an app, but the majority of smart home gadgets still need a central hub to operate and be controlled from. Why is this important? As Kent Dickson writes for Forbes, "when viewed as a whole, these connected speakers, bulbs, locks, cameras, switches and appliances represent a whole new consumer platform on which companies can develop innovative apps and services." However, as we have seen time and time again, people often choose convenience and ease of use over anything else. When users are overwhelmed by the amount of bridges they need to buy, apps they need to install on their phone and so on, they are incentivized to invest into one ecosystem. In turn, manufacturers create more "walled gardens", in an effort to maximize profits. If I invest in one smart home ecosystem, I am not likely to switch to another one. We have already seen Google move toward a more uniform ecosystem - they're allegedly planning to rebrand the Nest smart home products, so they can be easily recognized and bought together with other Google products. They have also added Google Assistant features, which help with home automation and are exclusive to Pixel and Android devices. The message is clear - buy into our system and everything will work smoothly. There's nothing wrong with that from Google or any brand's standpoint. Many consumers are also more than happy to pick a side and stick with it. We see it in the console wars, Android vs Apple and so on. Once you jump on a bandwagon and invest money, it's hard not to buy into the sunk cost fallacy. However, users should be wary of lack of cross platform functionality. Increasingly separated ecosystems will also create problems for 3rd party manufacturers - will they be able or even allowed to develop products that function on all platforms? This kind of fragmentation is very likely and it will not spell innovation for the market, in my opinion. In his Forbes article, Kent Dickson also brings up the involvement of ISPs and cell carriers into the smart home market. He is quite optimistic about it - "As the builders of the “pipes” that deliver connectivity to our homes, businesses, vehicles, and smartphones, telecoms are in the best position to build apps for their customers that transform the smart home from a minor convenience to a transformative platform. Imagine if your ISP could deliver useful stats to you in a convenient dashboard about your home’s security, energy usage and data usage." However, considering the usual business practices of ISPs (such as throttling the so-called unlimited data of California wildfire firefighters), that is a terrifying proposition. Without the protection of Net Neutrality laws, I'm sure cell carriers and internet services providers will find a way to abuse their power over your smart home, if given the chance. Net neutrality is over: what does the future hold? This is why I don't share Kent Dickson's optimism. Smart home technology certainly has immense potential, but as often happens in the technology field lately, it can be stifled in the name of profit. However, consumers also have to rethink their priorities if they want change. Convenience or more freedom of choice? What shall it be? What do you think? Is smart home the next major app platform? Let us know in the comments. The main problem I have is to many different devices with different apps. Plus the problem I have with smart homes is the total loss of privacy and security. They are to easily hacked, and I do not want every thing I do in my home monitored. Until the data stays 100% in my house and in my control it is an absolute no. Mess. No long term support path either.